Most of you who read this blog know about Melody Ellison who is release in just a few short weeks! You can already pre-order her if you are an AG rewards member, and her book and site are up. She will be officially for sale on August 25. These couple of posts will be facts about her, my opinions of her and her collection, crafts, hairstyles, and whatever else I put in here relating to her. It will be somewhat like the Samantha Re-Release party we had a few years ago, but spread out over time. This post will be short hair care tips that I have learned from Rebecca and my own hair. Tip #1: With short hair, clips, partial styles, bows, and accent braids are best. Putting all of the doll's hair up will either make it fall out, have a lot of fly aways and pieces sticking out, or look off. Things such as a French twist accent, half up half down, and pull backs are great easy options. Look forward to tutorials coming soon. 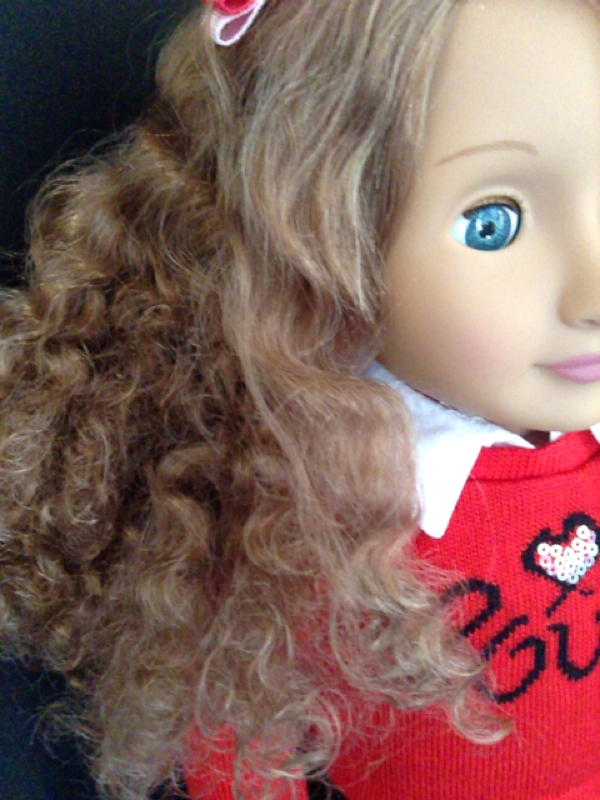 Tip #2: Curling the hair on a short haired doll is fun and rather easy. I curl Rebecca's hair two or three times a year or more to keep it looking nice, and Melody's would require curlers once in a while to keep the ends turning up. Simply dampen the hair with water and wrap just the edges around the foam curler. Let sit overnight for best results. Tip #3: Avoid collared shirts for your dolls. Their short hair can get stuck in the edge and stick up wierd. If you do want a collared shirt, make sure you pull it over the collar. Most of you who read this blog know about Melody Ellison who is release in just a few short weeks! You can already pre-order her if you are an AG rewards member, and her book and site are up. She will be officially for sale on August 25. These couple of posts will be facts about her, my opinions of her and her collection, crafts, hairstyles, and whatever else I put in here relating to her. It will be somewhat like the Samantha Re-Release party we had a few years ago, but spread out over time. This post will be just a few quick facts to start the series. Melody Ellison's story is set in 1964 in Detroit, Michigan. She lives in the Civil Rights period and raises her voice about racial equality. She loves to sing and preform in church. ​She has a theme of using her voice with both her singing and fighting for her rights. You probably already knew these, but I figured I would put them up to help set up a base for the rest of the series. Hope you enjoyed! I will post more soon! Alright, so I thought I was done posting on this site. I thought I was done with American Girl in general. But I was wrong. I don't know how often I will post or what quite I will post, but here I am. Hello again! Caroline's Archiving does not affect me much. 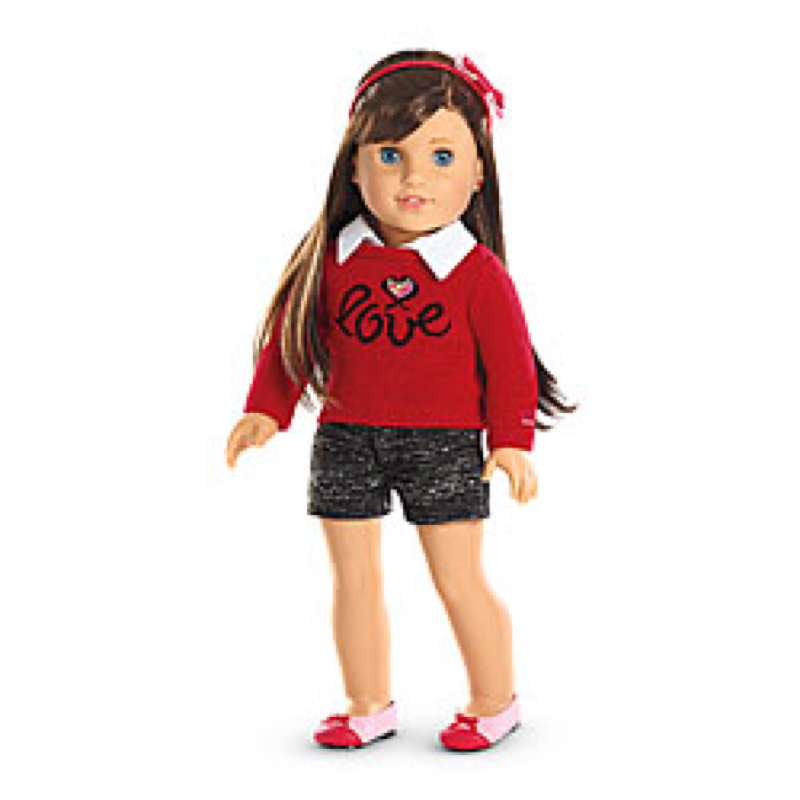 I feel that her collection was decreasing in creativity and becoming less entertaining the more changes that American Girl made to it, and that her stuff was becoming too expensive. 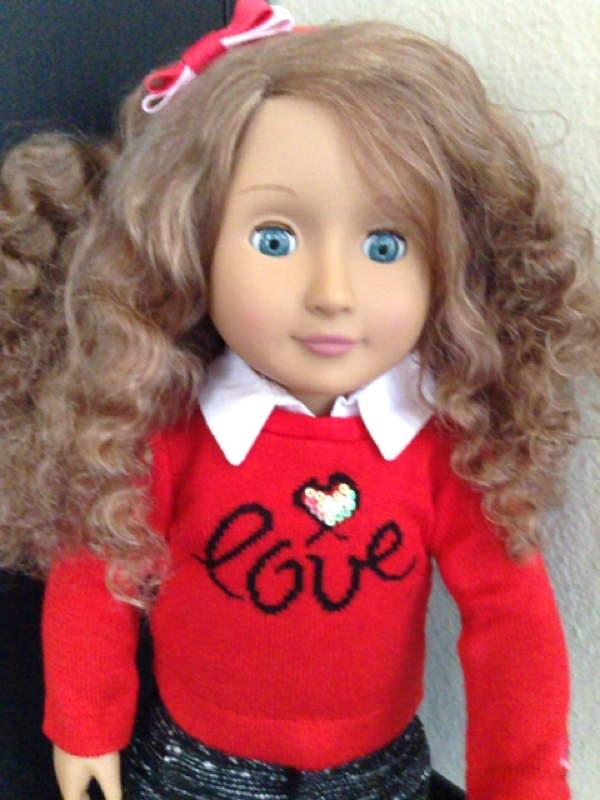 Fortunately, I already have the doll, and you can all expect to see new pictures of her after I re-curl her hair. 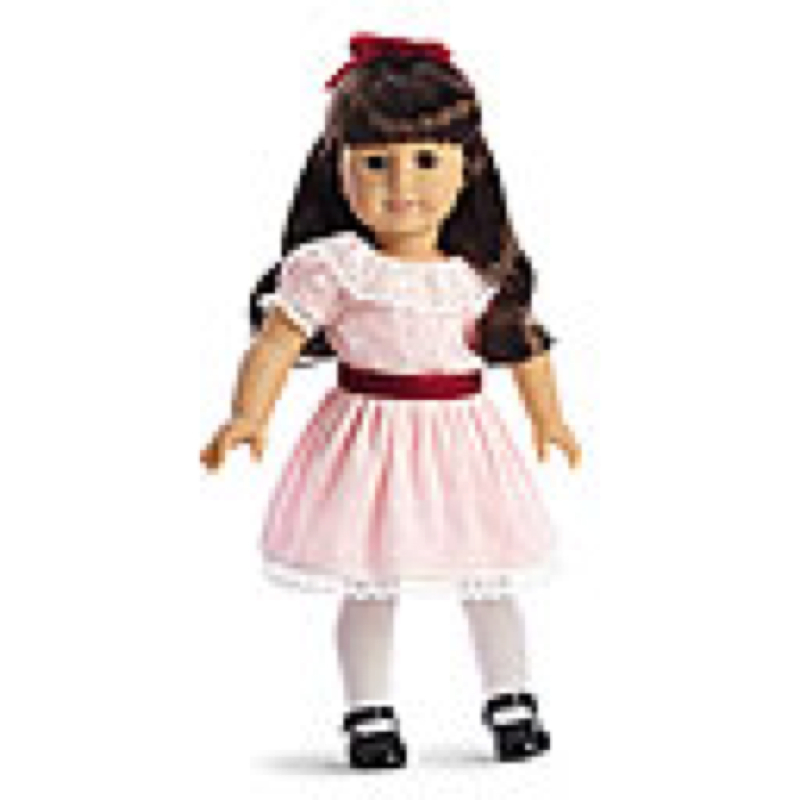 I think that Maryellen is a gorgeous doll, and I love her hair and outfits (most of them), though I will not be adding her to my collection personally. I feel that unless there is a doll that is DROP DEAD gorgeous that fits my personal likes, and is unique to the other dolls in my collection, I will not be adding another doll to my collection. I adore her sweater that comes with the doll though, and appreciate the variation from only blonde dolls that has been occurring with Grace and Maryellen. Her collection is nice, and I look forward to attempting to recreate a few things myself. I do not like the outfits that the dolls now come in, but I greatly appreciate that they did not raise the price. Even if I am not buying any of them, really high prices infuriate me. 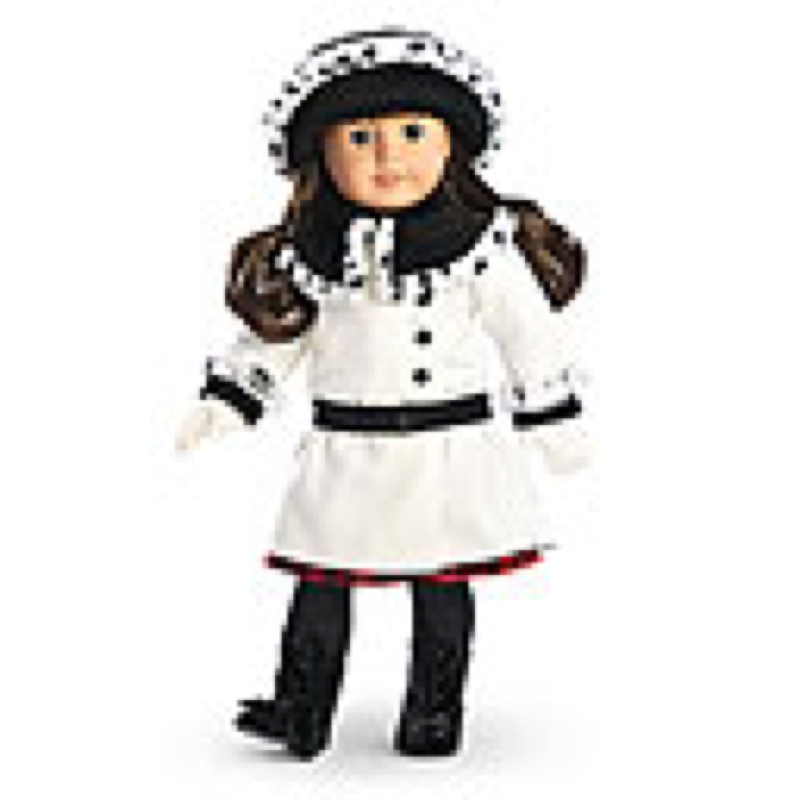 I ADORE #62, the doll pictured above, and think that her eyes are the prettiest thing ever. Currently, she is my favorite doll that I do not already own. I am not fond of the removal of #38 though. Her great resemblance to Maryellen is why, but I always loved her and will miss her appearances in catalogs. Overall, I do not believe that American Girl is heading for the better, but based off of what I have heard about Lea, 2016 GOTY (Look forward to post about her) , this opinion might change. Ella! If any of you have read Grace&apos;s books or read this blog (http://livingadollslife.blogspot.com) then you know that Ella is one of Grace&apos;s two best friends. 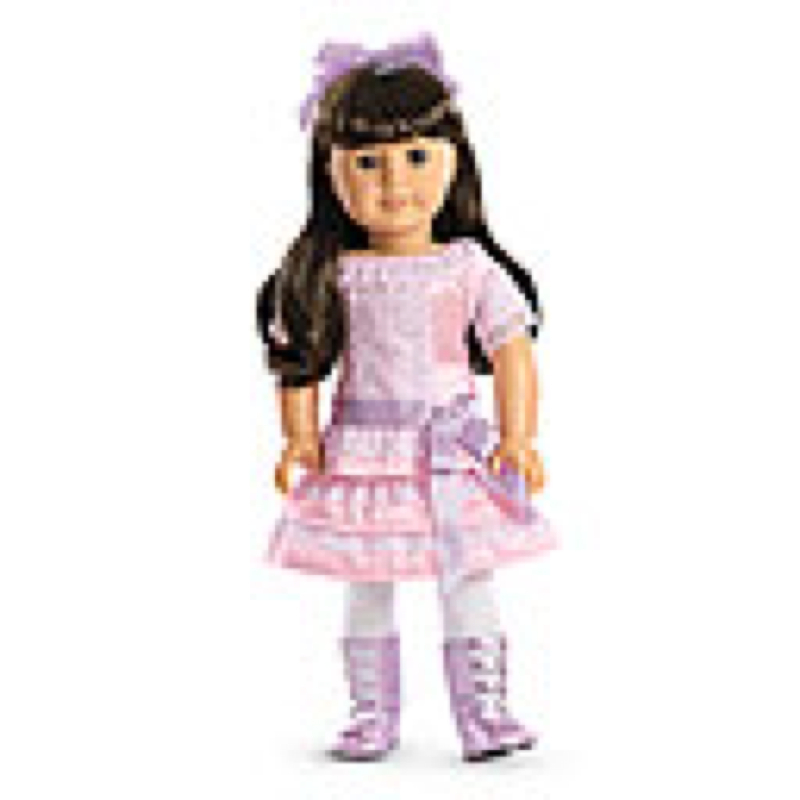 Because American Girl does not make an Ella, she either has to be a My American Girl, or a doll from another brand. For me, I chose to use an Our Generation Kaylee. 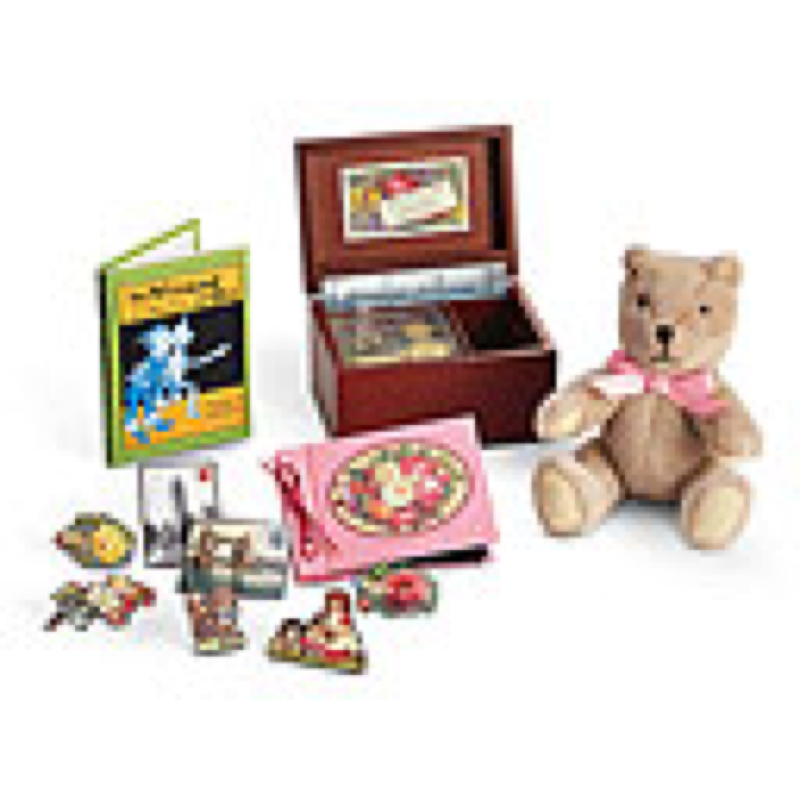 The book character, Ella, is and African American girl who is a math whizz. She has dark skin, brown eyes, and curly dark brown hair. 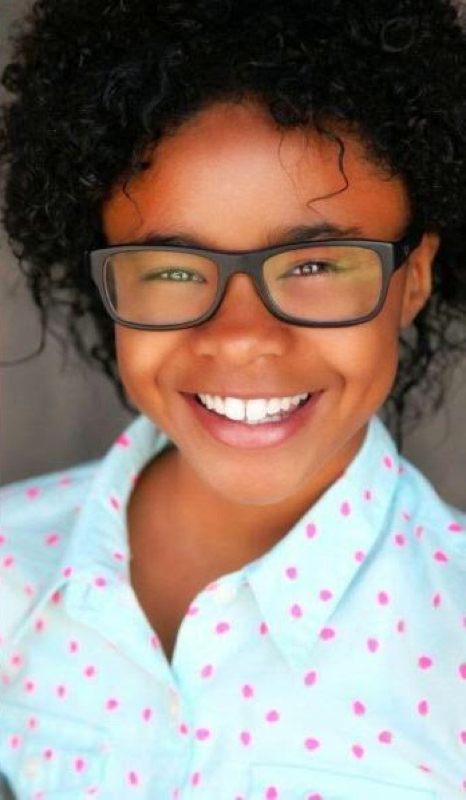 This is the movie actress, but in the books, she does not have glasses. Due to avalibitlity at my local Target, I got Kaylee. She has mediumish skin, light brown curly hair, and blue eyes. I know that she is not exactly Ella as in the books/movie, but I am fond of her. After undoing her pigtails and changing her into Grace&apos;s City Outfit, my Ella is complete. 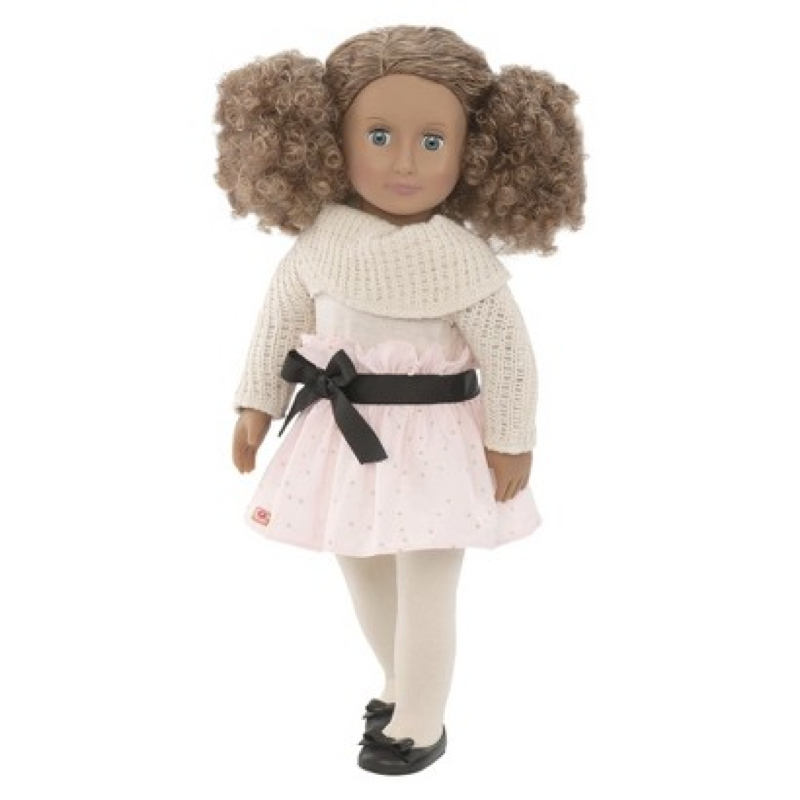 She is slightly thicker than the American Girl dolls, and her lips are rather pink, but I love her skin tone. It is like someone mixed Caroline&apos;s gentleness of her skin, Josefina&apos;s warm enviting personality of her skin, and Sonali&apos;s boldness. Her skin tone is like nothing I have ever seen before. I love her beautiful curls. They are very soft, and surprisingly manageable. I also think that even though they may appear slightly messy, they always appear some what neat. As for the outfit that Kaylee comes in, that has been shoved into storage. I can not stand how weird and unflattering it is on Kaylee. Without the crocheted sweater thing, and a change of shoes, it does make a decent dance costume. Hi guys! Long time, no see. I am so sorry about the large amount of time without a post. Shout out to Shannon for sticking with this blog the whole time. I have still been very involved with the doll world, so I still have a lot of information to share. As many of you know, every year a new doll is released for only one year, and the last Girl of the Year is discontinued. This year, it was out with Isabelle, in with Grace! You guys have most likely seen her collection, so I will just give my opinion on a couple of things. 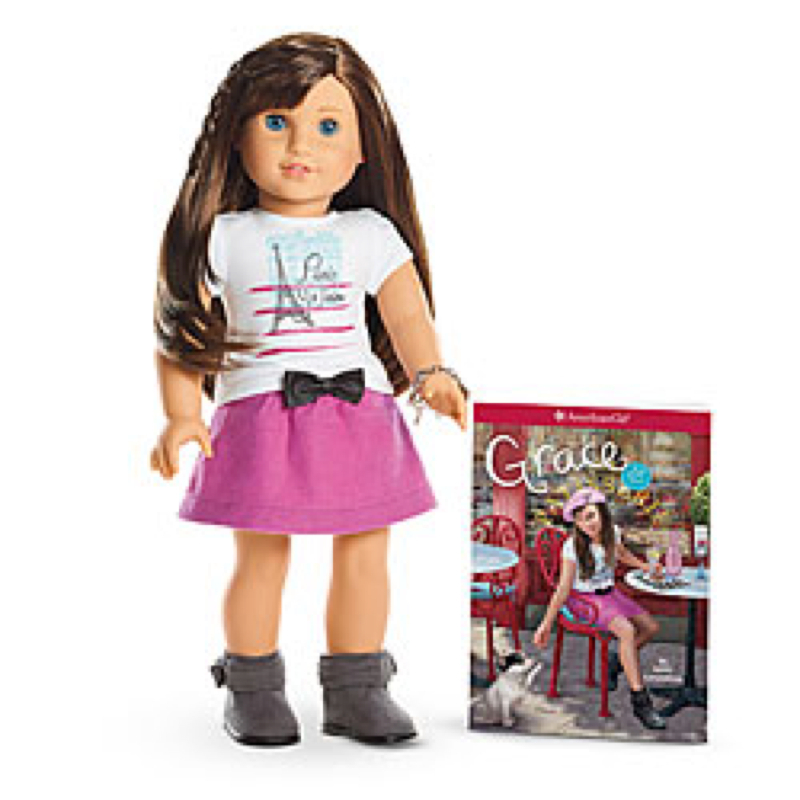 First is Grace Thomas, the doll. She is a whopping $120, which is five dollars more than all of the other dolls. I love her Paris theme, and her eyes are quite pretty. My only complaint is that she is not very unique. 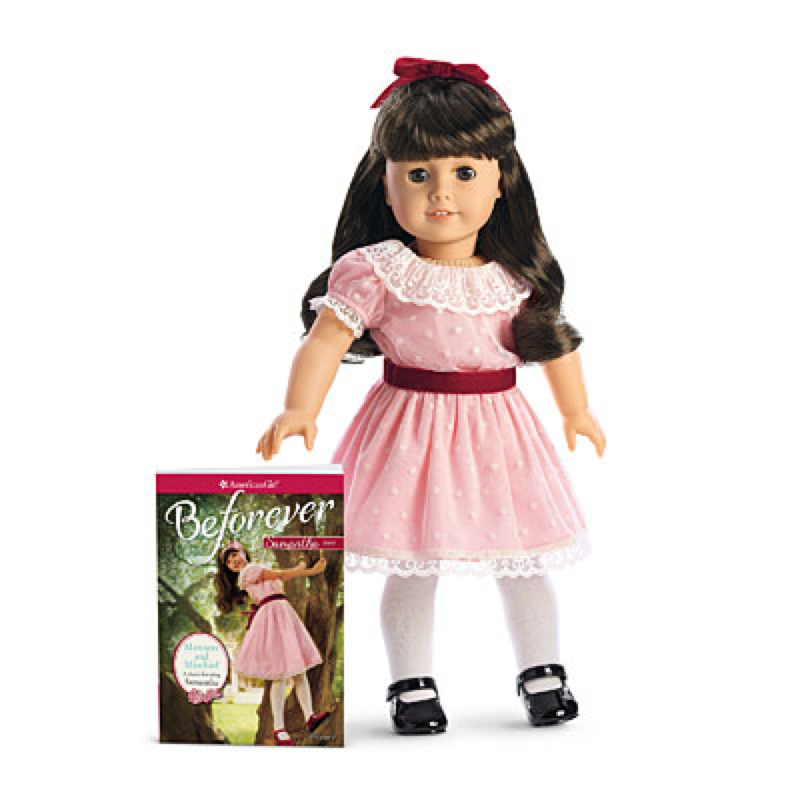 There are a couple of My American Girl dolls that look very similar. Next is Grace&apos;s French Bakery. This set is $500, which I find very expensive. This set is super cool, though. The colors are really nice, and the sink section is sooooo cool. It does come with a lot of pastries and such, and I love the eggs! I have seen all of Grace&apos;s things in person, and the eggs were my favorite part of this set. This is, by far, my favorite set of Grace&apos;s. I already own Grace&apos;s City Outfit, and it is so cute. Currently, Holland is wearing this right now. The quality is cheaper than I would expect, but it is still very nice. What was a surprise to me is that the pants are very study, and not stretchy in the slightest, which is what I expected from the pictures. Look for a full review soon. 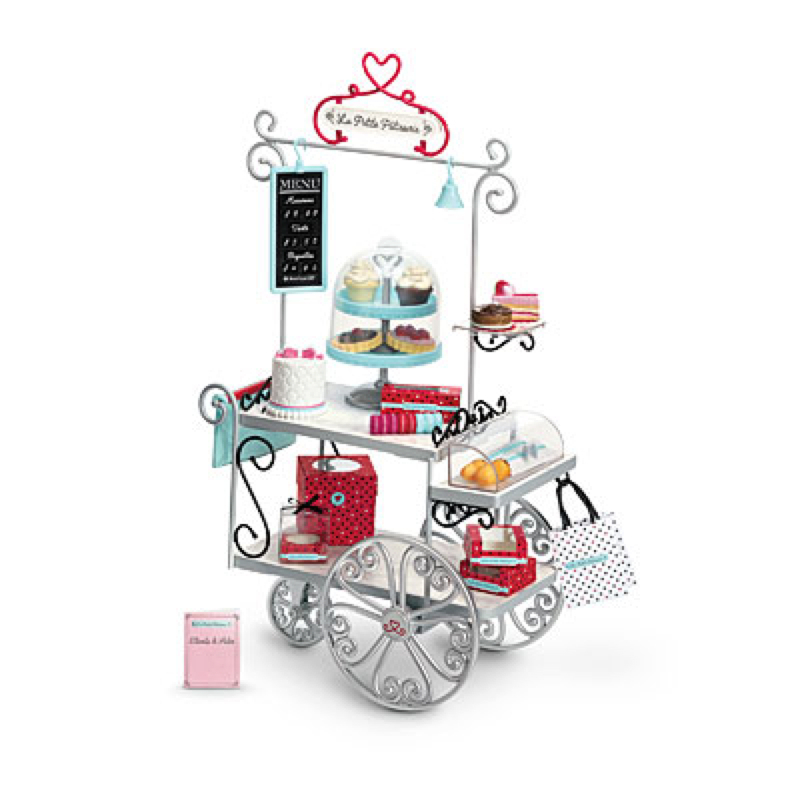 The last thing that I will be talking about is Grace&apos;s Pastry Cart. I am planning on making a DIY version, so be looking forward to that. I think that this set is a better alternative to the expensive bakey, as this set is less then half the price. I like all of the shelves, and the little pastry bags and boxes are super cute. Look forward to the DIY. Eeeekkkkk! I am so excited! BeForever is now released and this post is so big that I had to break it up. This part is the guessing game. Okay, so this isn&apos;t 100% Samantha related, but it does have to do with BeForever! Here is how this is going to work. 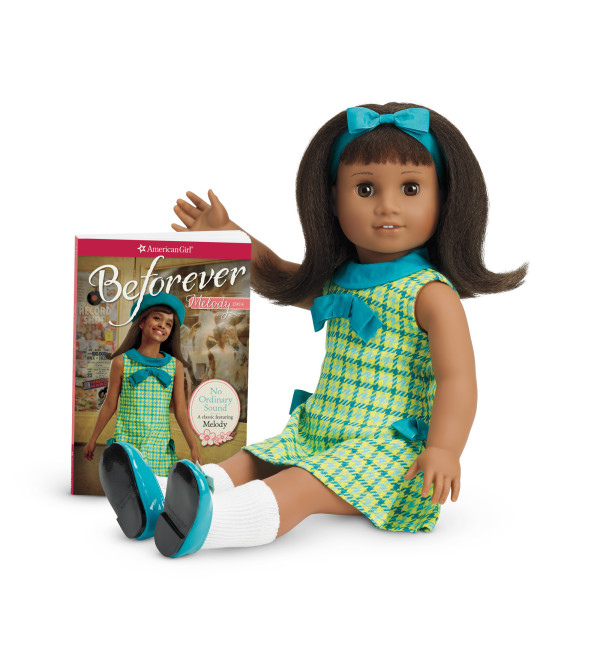 I will give you a questions bout myself that relates to BeForever (What is my least favorite version of Samantha: Pre-Mattel, Mattel, or BeForever?) and you guys will guess. If you get it right, I will update the post with a question about YOU that relates to BeForever. If you get it wrong, you must wait for me to tell you so before guessing again. If you get it correct and I post your question, you will play the part of saying if it is right or wrong. Eeeekkkkk! I am so excited! BeForever is now released and this post is so big that I had to break it up. This part is the chat section. Yay! Here is the chat section of this party! You can post comments that I will respond to, along with anyone else who is attending the party. You may post anything as long as it follows these rules. Voice your opinion, but respect others&apos;. Here are some conversation topics. Eeeekkkkk! I am so excited! BeForever is now released and this post is so big that I had to break it up. This part is the entire collection! 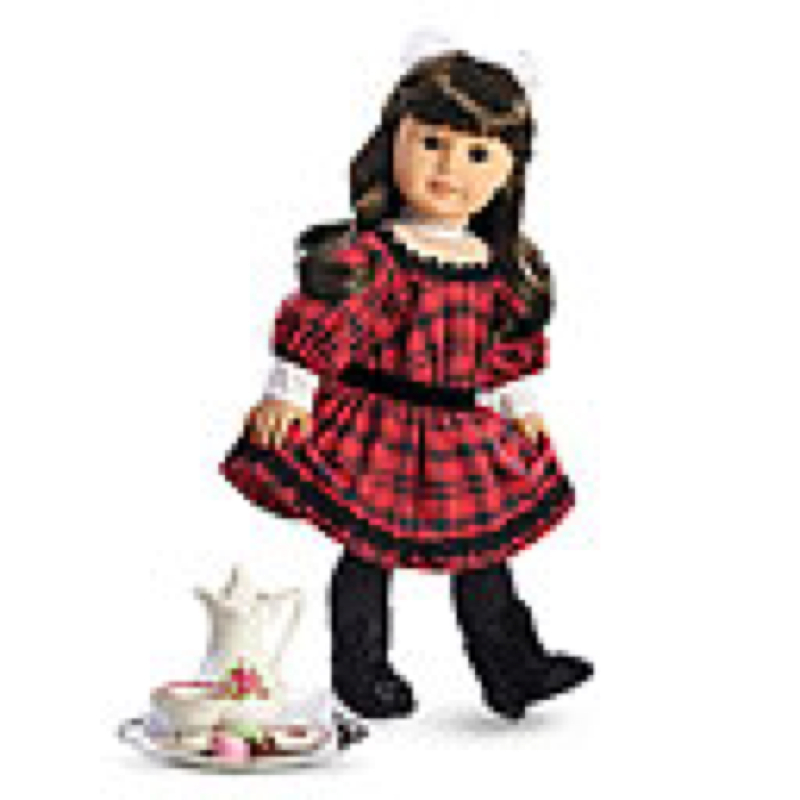 First is Samantha the doll. She is super pretty and her dress is AMAZING! She isn&apos;t too unique, so I won&apos;t be buying her, but I can see how she would be fun to have. Next is her dog, Jif. 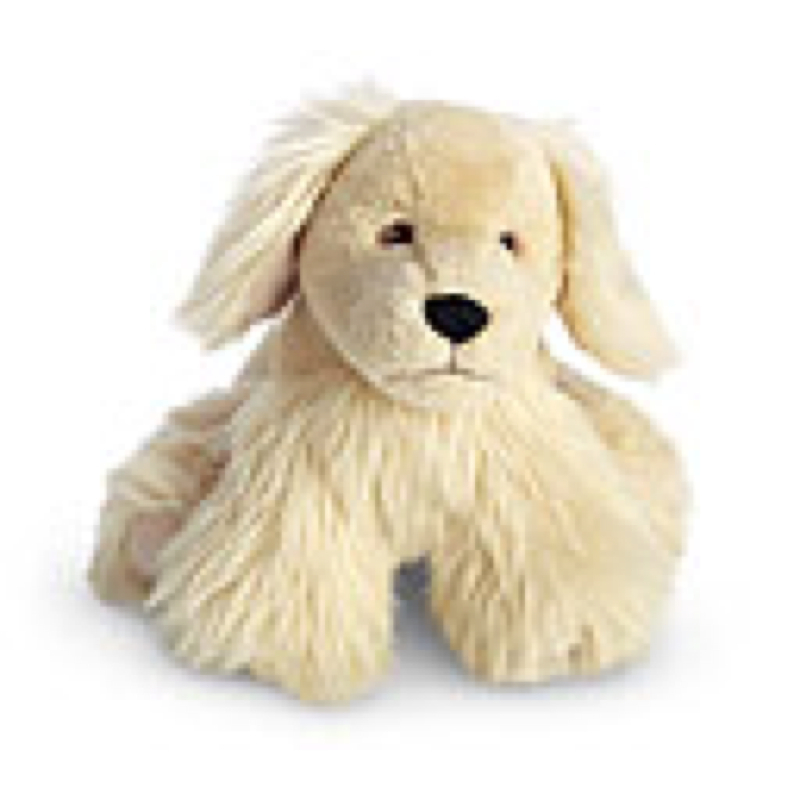 He is too shaggy and stuffed-animal-like for my taste, but he is still adorable. Her accessories are the next thing. 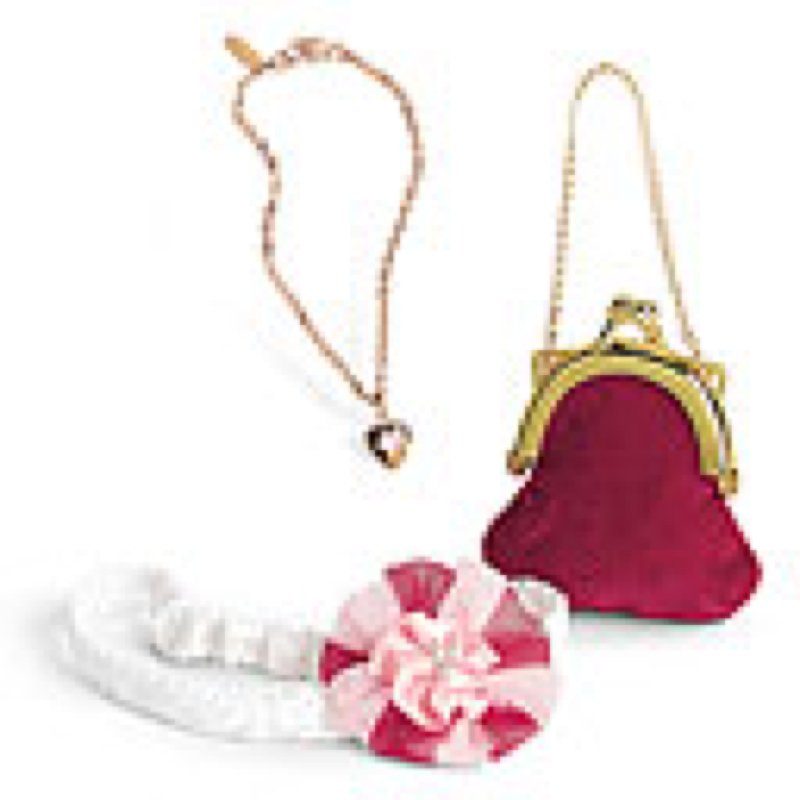 I personally really like the little clutch. It is so cute! This is her hair set. 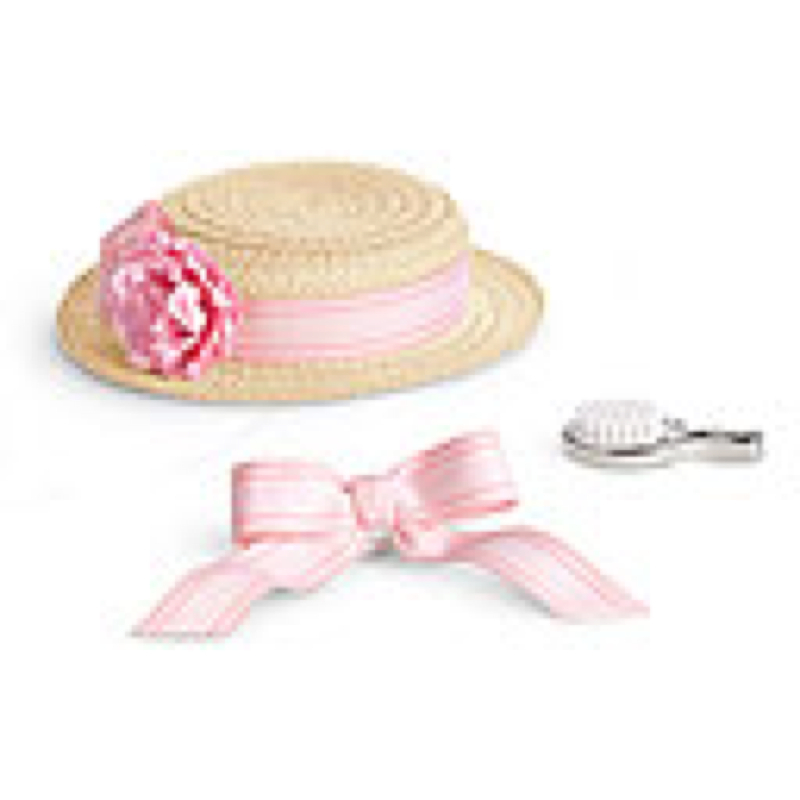 I will probably buy it because THE HAT IS SO CUTE!!!!!! Now for Samantha&apos;s Frilly Frock outfit. I think that this outfit is horribly done and way too modern for Samantha. In 1904 girls wouldn&apos;t be wearing metallic dresses with metallic boots. This is the ice cream parlor. I LOVE THIS THING SO MUCH! 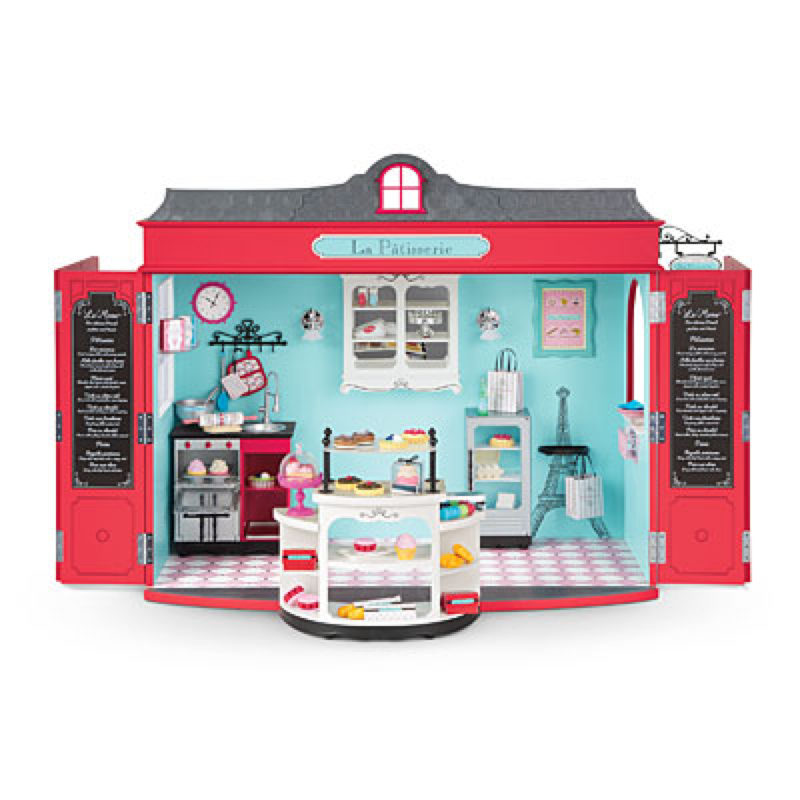 I am kind of surprised that American Girl made this a mere 4 months before they release the new GOTY, who, according to the casting call, opens an ice cream shop. The BIKE! I love the bike! The basket is so sweet with the flowers. 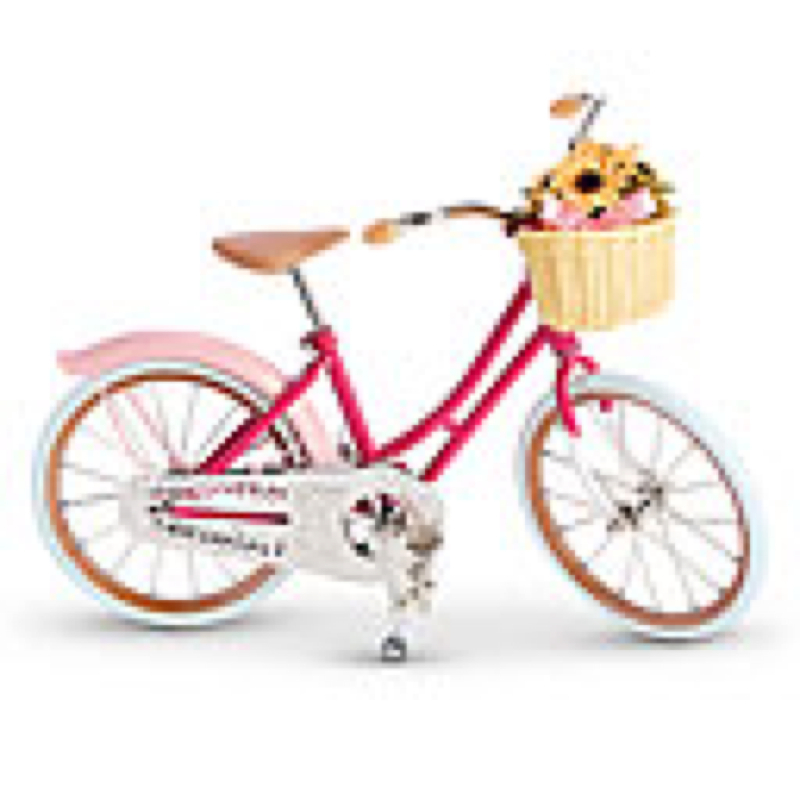 Do you think it would be excessive to have two different pink doll bikes with flower baskets? Samantha&apos;s nightgown isn&apos;t too specail. It&apos;s pretty much plain pink. But the bed? The bed is AMAZING!!!! I love how the curtains look! The bedtime accessories are very sweet. Nothing is too specail, but together is is sweet. This holiday dress is so generic. Addy&apos;s was petty close, and I have one from Dollie and Me just like this. 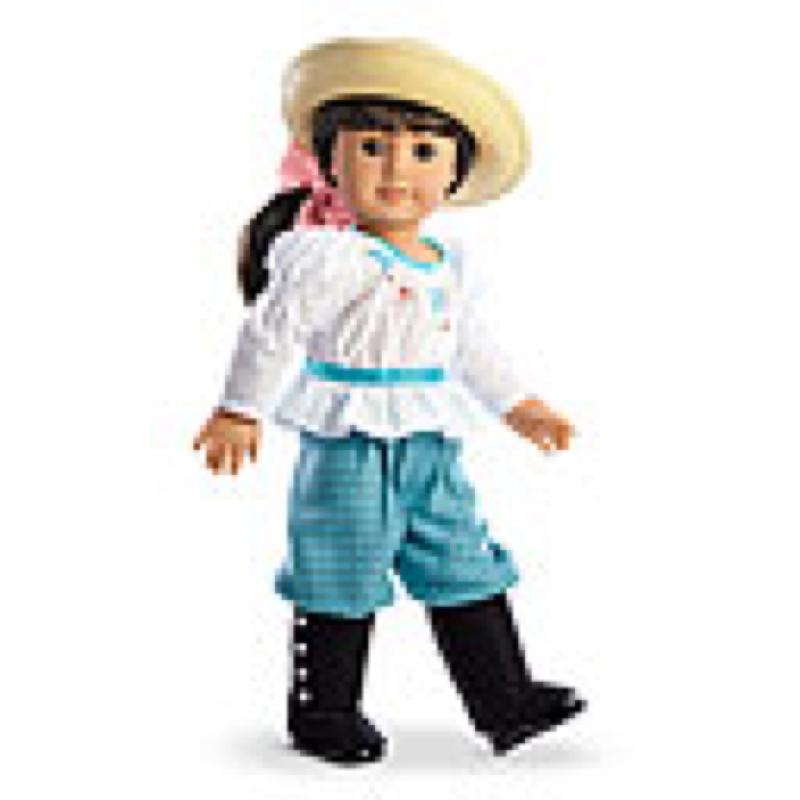 American Girl could have done better. Oh my goodieness! They brought back the coat! I NEED this coat! 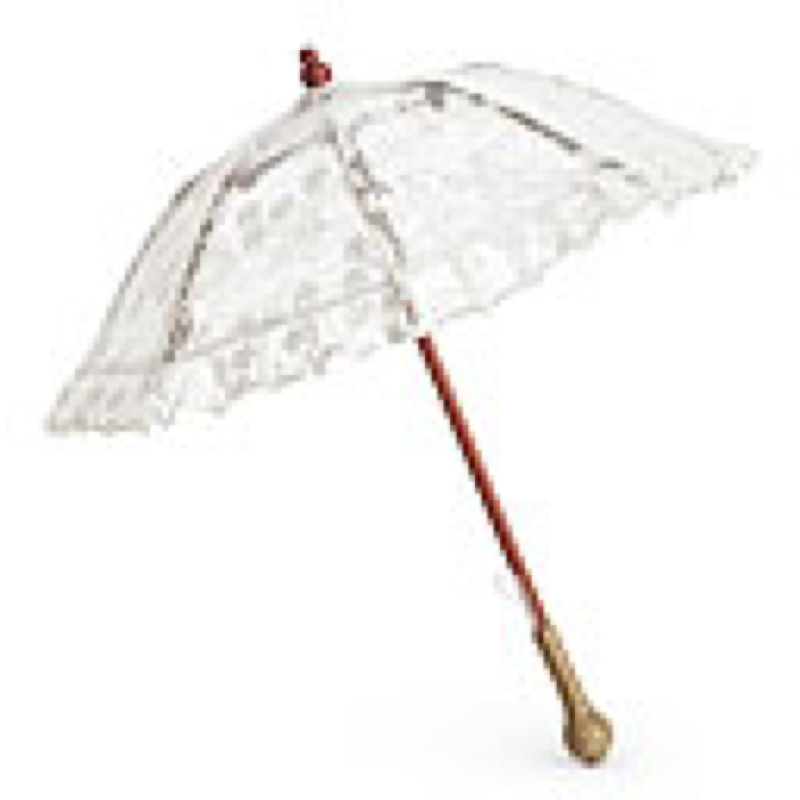 Lacy parasol: just like Marie-Grace and Cećile&apos;s.
Last but not least, for collectors who already have Samantha, just her new outfit. I am really considering this! 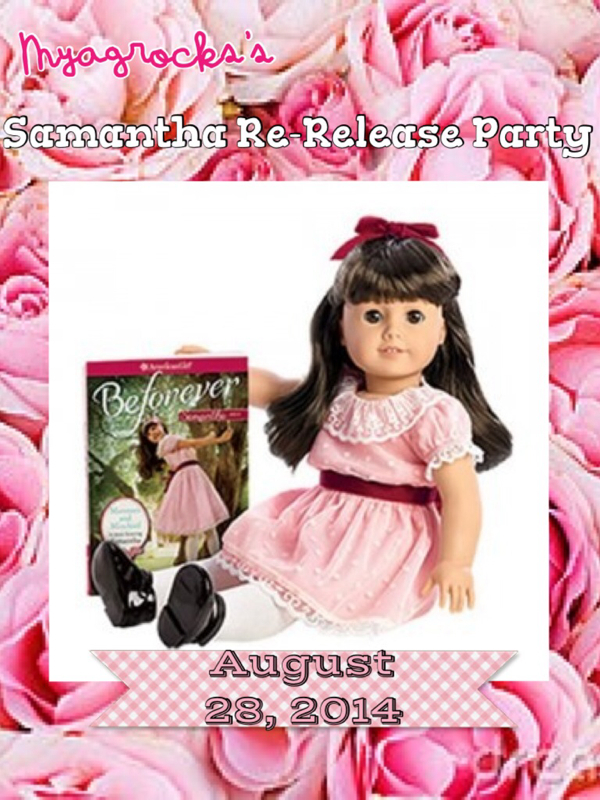 Myagrocks's Samantha Re-Release Party Invite! Yay! Here is the official incantation to Myagrocks&apos;s Samantha Re-Release Party! 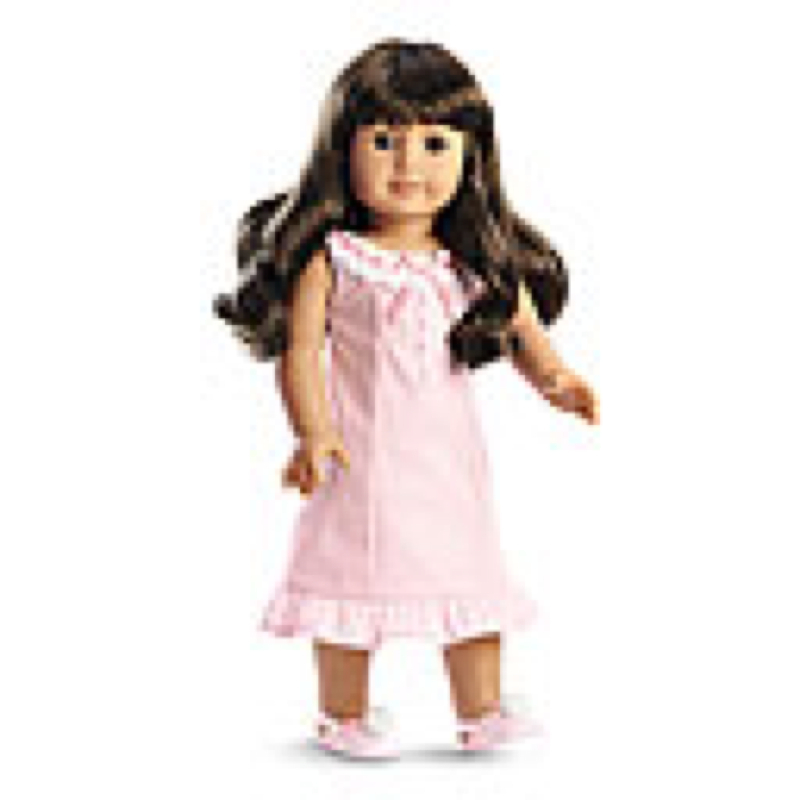 It will include so many mind blowing things include a chat section in the comments, two guessing games, coupons from American Girl, all of the item&apos;s from Samantha&apos;s new collection, and a specail doll hairstyle for Samantha! Hope that you come on Thursday! Hi! My name is Sydney, and this is my blog, Myagrocks! Be sure to comment and check the archives!